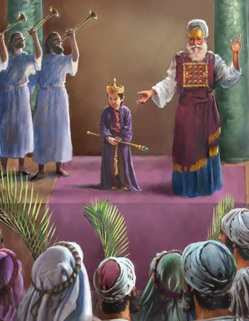 Was there ever a child champion like Josiah, who became king of Judah as a second grader? His father, an evil man, was assassinated after a short two-year reign, and suddenly Josiah’s little head had to bear the weight of a big crown: “Josiah was eight years old when he became king, and he reigned in Jerusalem thirty-one years” (2 Chronicles 34:1). This little guy had no normal childhood. He had to grow up terribly fast. And though he obviously had advisors and personal tutors, his youth did not hold him back from a reign of enormous and positive impact on God’s people. At the age of high school sophomores, he began a serious quest to learn about the God of Israel. At an age when American college students are drinking a lot of beer, Josiah led a huge spiritual reformation in the country, tearing down the shrines and altars of Baal and Asherah that had been corrupting the Israelites for centuries. And at age 26 he led a capital campaign to rebuild the temple of the Lord, which had fallen into sad disrepair. King Josiah’s personal leadership, authority, and example brought about spiritual renewal throughout Israel, brought God’s protection and blessings, and undoubtedly extended the time of Israel’s independence. He was the last good king; the evil of his four short-lived successors brought about Israel’s collapse. Keep your eyes peeled for the talent that God has loaded into his child champions in your world. Dear Lord, we thank You for the children in our life. Help us to remember to lift them up in our prayers so that they may become the people You would have for them to be. In the Name of Jesus, Amen.